A native of Sengyang, China, Fuhong SHI (史付红) is an active composer and curator of musical activities whose compositions have been performed in the USA, Canada, Mainland China, Hong Kong, Taiwan, Europe and Southeast Asia. 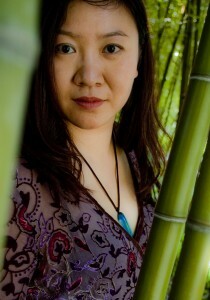 Fuhong earned a doctorate in composition from the University of Toronto in 2009, and is currently Associate Professor of the Central Conservatory of Music (CCoM) in Beijing, China. She has studied with a number of world renowned composers and composition professors, including Gary Kulesha, Chen Yi, Chou Wen-Chung, Tang Jianping, Guo Wenjing, Chen Qigang, James MacMillan, Salvatore Sciarrino, Murray Schafer, Gilles Tremblay, Brian Cherney, Augusta Read Thomas, and Fred Lerdahl. Fuhong has collaborated with numerous prominent orchestras and ensembles all over the world, including the Vancouver Symphony Orchestra, New Music Concerts, Ensemble Contemporain de Montréal, Queen of Puddings Music Theatre, Orchestre de la Francophonie Canadienne, Continuum Contemporary Music, Tai Wan Symphony Orchestra, Esprit Orchestra, Quatuor Bozzini, Hong Kong Chinese Orchestra, China Guangdong National Orchestra, China Youth Symphonic Orchestra, Youth Chinese Music Orchestra of Beijing Central Conservatory of Music, Hua Xia Chinese National Orchestra of Beijing Chinese Conservatory, Soundstreams, Beijing Symphony Orchestra, and China National Centre for the Performing Arts Orchestra. Fuhong won the 2015 Young Composers Project in the China National Arts Fund competition, and she is currently a visiting scholar at Columbia University in New York City until September 2016.